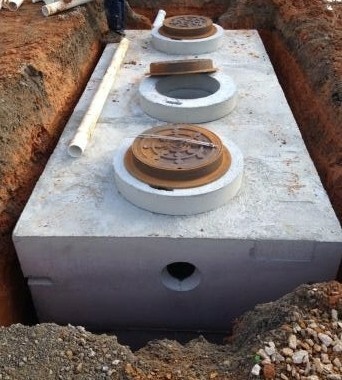 Oil/Water Separators are commonly used in commercial applications like carwashes and equipment maintenance facilities to eliminate oils and solids before they enter the sanitary sewer. A Shoaf Precast Oil/Water separator is designed to segregate harmful materials while allowing the clean water to pass through and downstream. When the combination of oil, water and sand enter the tank "retention" occurs. During this process, oil will rise to the top of the liquid level and suspend, solids will settle on the bottom and clean water will continue through a series of baffles and tees and be discharged out of the tank and into the sewer system. These harmful materials will then be routinely pumped and transported to facilities to be treated and disposed. 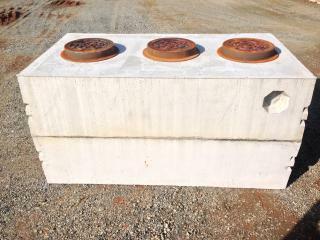 Shoaf Precast offers Oil/Water Separators from 1,000 gallons to 20,000 gallons in H/20 and HS/20. 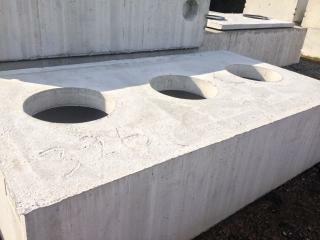 A watertight, structurally superior, and economical solution to keeping the environment clean; contact a Shoaf Precast representative today and see how we can help make your next project a success.